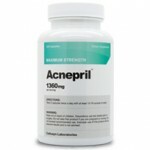 Millions of people suffer from acne, not that this fact makes it any easier for you to treat it. In fact, because acne is so prevalent hundreds of products clutter the market competing for your attention making grandeur promises and miracles. 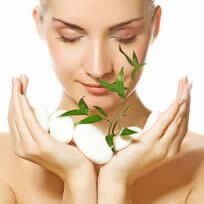 Does RevitaClear have the ingredients necessary to give you clearer, healthier skin? Let’s find out. Finding a “cure” for acne isn’t easy, but RevitaClear proposes an anti-acne system and solution.RevitaClear is a cleanser, acne treatment, and moisturizer that all work in conjunction to layer the skin with acne medication and soothing agents to treat blemishes and prevent pimples. The first step to clear skin with RevitaClear is the cleanser which uses walnut shell and pumice to exfoliate the skin. These gentle microbeads remove pore-clogging impurities while the addition of benzoyl peroxide (BPO) helps kill bacteria.After the skin is clean, the RevitaClear Acne Treatment should be applied to deliver 5% BPO, tea tree oil, aloe extract, and chamomile extract. 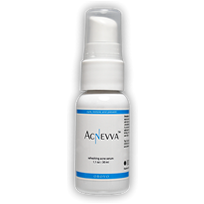 The gel sets in the skin to help reduce acne. RevitaClear really prides itself on the use of 5% BPO. However, we aren’t that impressed. Studies show that 5% BPO is not any stronger than 2.5% BPO, in fact the higher the dose the more likely you will experience skin irritation.The final step for RevitaClear is the RevitaClear Moisturizer. The moisturizer hydrates the skin with jojoba seed oil, hyaluronic acid, hydrolyzed collagen, and hydrolyzed elastin. This combination layers the skin with needed hydration after the use of BPO. It’s not that RevitaClear is an awful treatment for acne, it’s just not the best. RevitaClear really only uses benzoyl peroxide to directly reduce acne while other systems provide additional acne medications for good measure. It would be just as beneficial to get a benzoyl peroxide-based treatment for cheaper and just use a moisturizer post-treatment.